Font Size : L M S Your browser does not support script code. Please use your browser's font zoom feature to zoom font! Accepting note service applications from subjects of credit reports. Adding supplements and making corrections to credit reports. 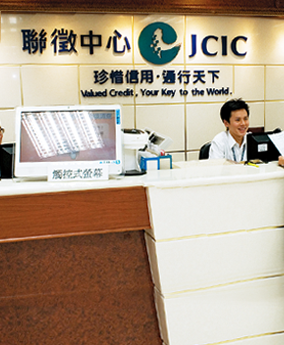 Joint Credit Information Center © Copyright 2015 Joint Credit Information Center. All Rights Reserved. Address：16F, No 2, Sec1, Chong Ching S. Rd. Taipei 100, Taiwan, R.O.C.